Broody dark clouds hung on the mountain tops this morning but at least it wasn’t raining. On the road early and we headed for Killarney town to investigate a few locations that I will be using in The Carver Affair. Firstly, it was up to The Malton Hotel, which in 1894, was The Railway Hotel. My heroine has an awkward meeting with an old beau here and later comes to stay in the hotel during Regatta weekend. 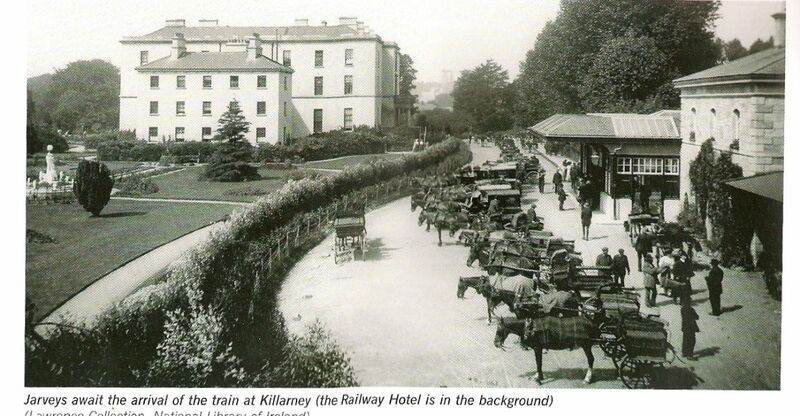 Then over to what was Killarney House, home of the Earl of Kenmare, who used to host a fireworks display the evening of the annual rowing Regatta. The original house is gone but the park is open to the public. It must have been a fabulous sight, and a tiny bit romantic, watching the display over the waters of the lake. 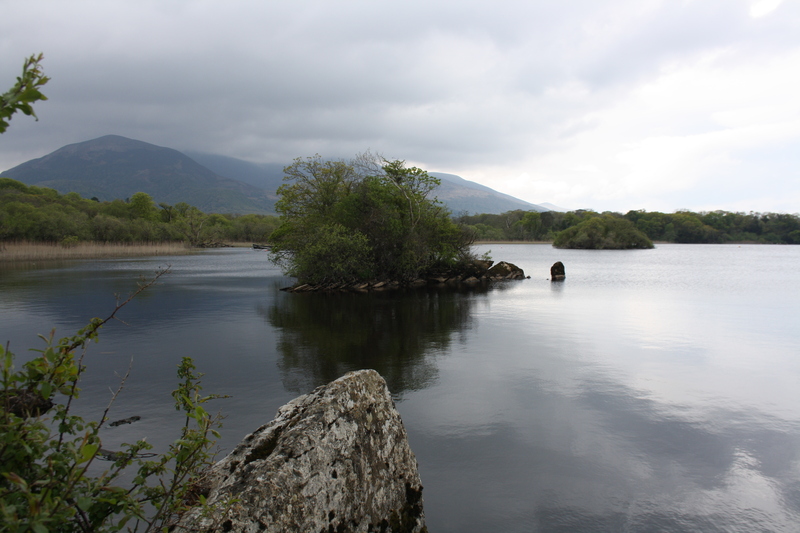 The Regatta, which still takes place every summer, is run on the Lower Lake or Lough Leane. 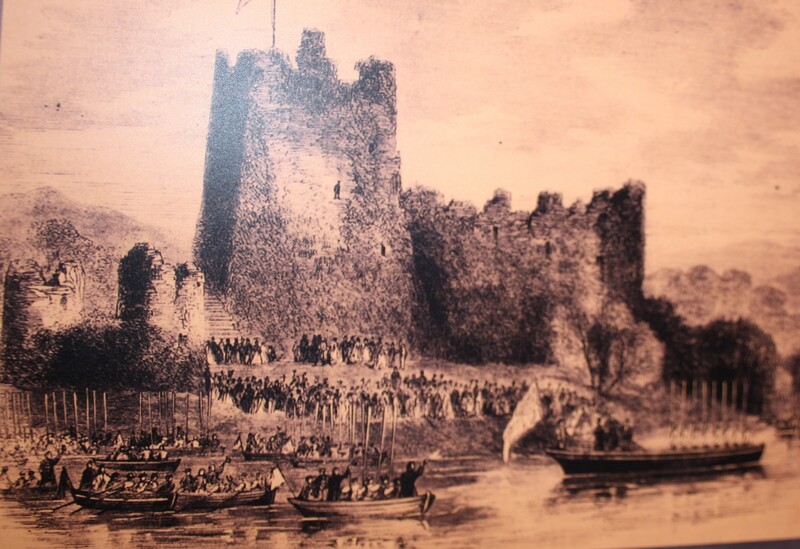 As luck would have it we stopped at Ross Castle, where there was the usual interpretive centre. It had an old drawing of the row boats and starter’s boat from just the right period. 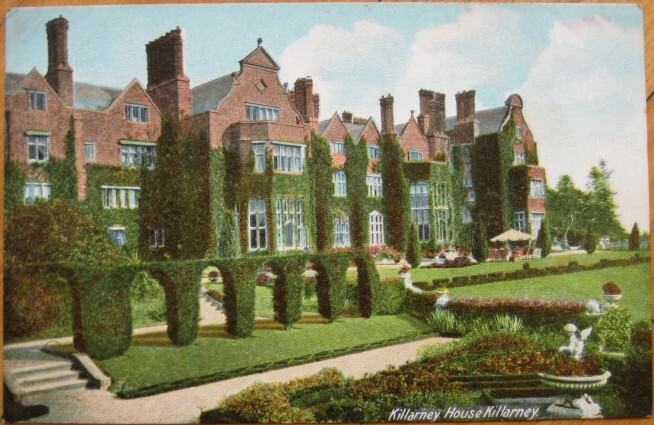 Killarney will play host to one of the biggest scenes in the book, with fireworks of the explosive and human kind, a distressing meeting for our heroine and a dramatic reveal for the hero. 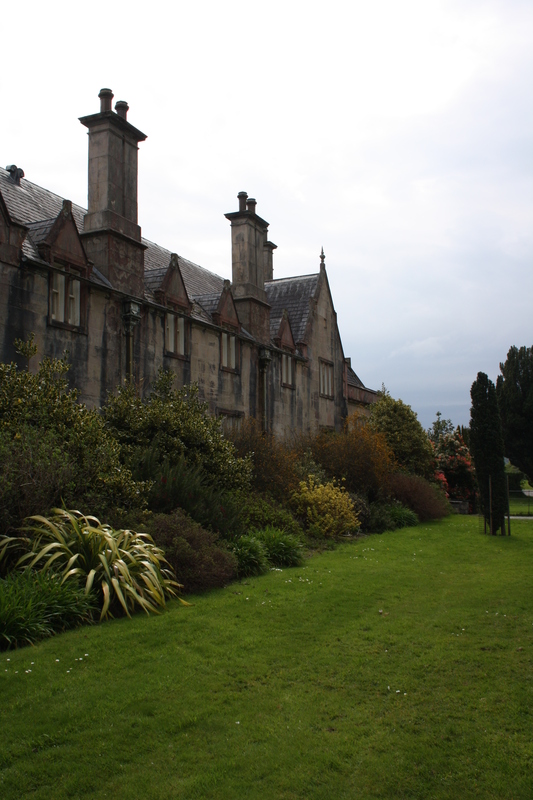 Having completed our location hunting, we headed into the National Park and Muckross House, for a treat. It is a beautiful old house, in a fabulous location, overlooking the lake. 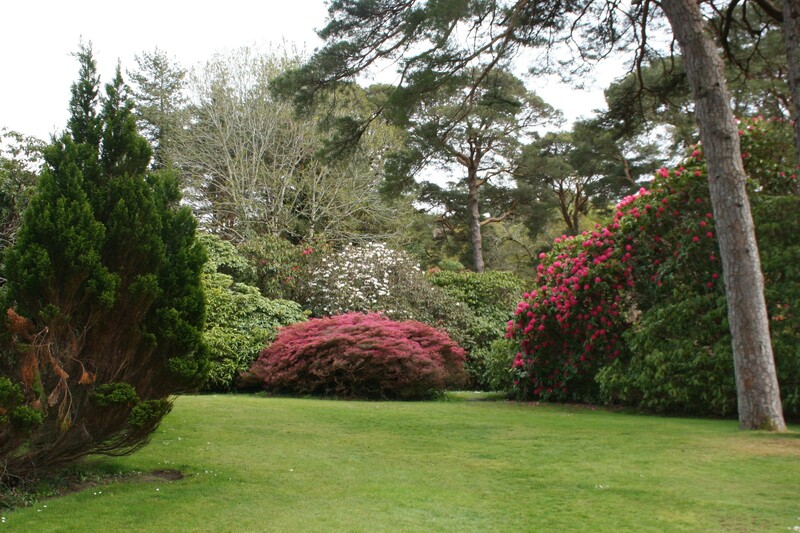 It also has the added attraction, at this time of year, of the most gorgeous display of Azaleas and Rhododendron in flower. I may just have to use the location as the inspiration for Linden House, the fictional home of one of the characters. On the way back to Annascaul, we stopped at Inch beach in the hope of getting some better photos than yesterday. 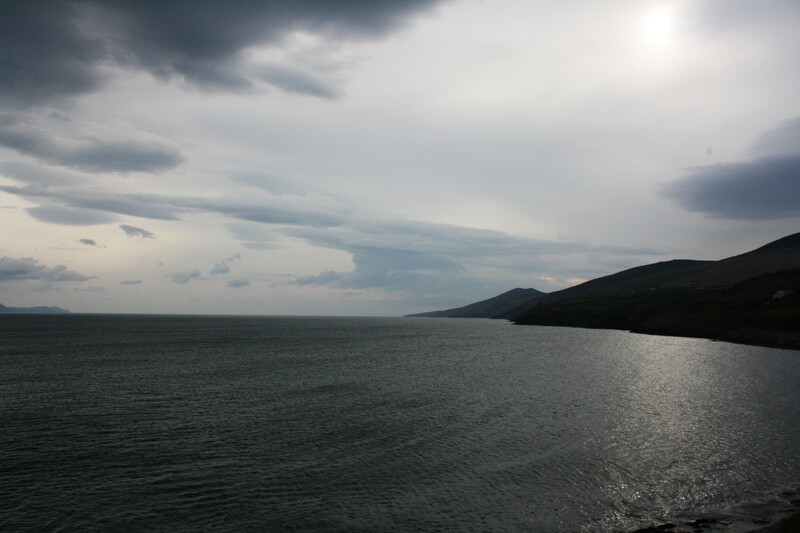 Still a little hazy but I think you can see just how lovely Dingle Bay is. 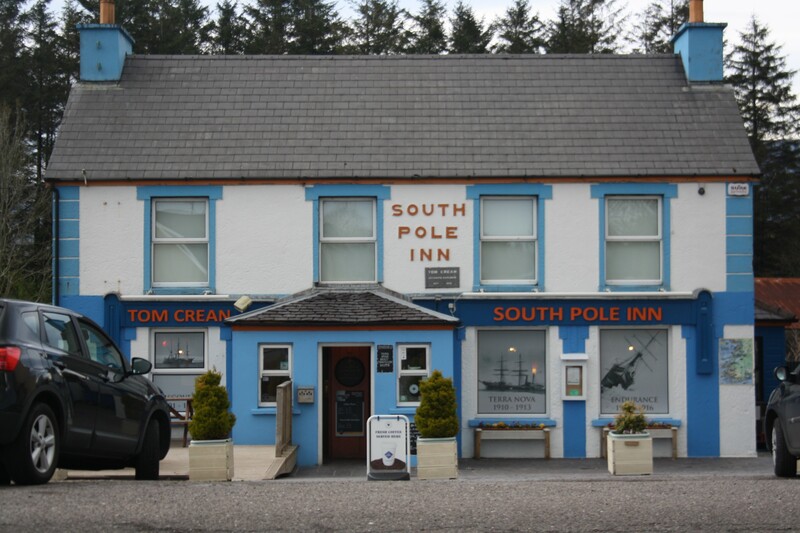 So Day three draws to a close an d yes, you guessed, we are back in The South Pole Inn! Well it would be rude not to say goodbye. If the weather holds, we will do our best to find a few more locations tomorrow morning, then, unfortunately, it’s back to Dublin. And writing!! All going well it will be a series of 3 books in all. Hope to publish the first one early next year all going well.